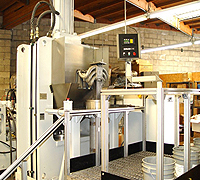 Our abrasive flow machining process is totally customizable to your needs. During abrasive flow machining, the abrasive media flows through the workpiece, effectively performing erosion. Abrasive particles in the media contact raised positive features on the surface of the workpiece and remove them. The media is forced through the workpiece by a hydraulic ram, becoming a flexible file or slug that molds itself precisely to the shape of the workpiece. The highest amount of material removal occurs in areas where the flow of the media is restricted, as the flow speed and pressure of the media increase in these areas, facilitating a higher material removal rate. The pressure exerted by the media on all contacting surfaces results in a very uniform finish. AFM is a controllable machining process. You can control the media flow rate and pressure, volume, and type of media, media temperature, and, consequently, the amount of material that is removed. 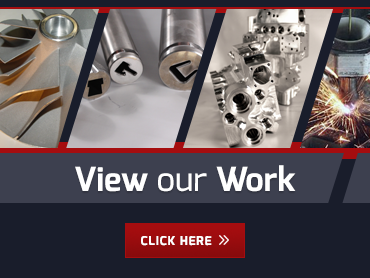 For any given application, the surface finish improvement, radius generation and/or stock removal can be determined and monitored to ensure repeatability. If you would like to learn more about how our AFM Process technology can help you achieve your desired specs for your specific application, please contact us at (562) 531-2976 today.